The past few days have been truly incredible. So many moments this summer I've thought to myself....'I get paid to do this?!'. Crystal, Israel, and myself headed to Open Door Mission, a men's rehabilitative facility near us. We walked in the kitchen and were greeted by our friends Randy, Dean, Doug, Ricky, Charles, and the list goes on and on. The men here are incredible and have such beautiful testimonies involving the power and love of our great Lord. Since they already had a group of volunteers scheduled for the day, they didn't really have any specific tasks for us to do. We simply hung out - which beats cutting huge vidalia onions any day. Though I must admit, a huge part of me wanted to keep busy and to do something 'productive' according to my silly definition of productivity. We played horse and ping pong, which Crystal is amazing at, I must say. We laughed and relaxed as we shared the joys of the morning. My friend Rick (who loves to give me a hard time) told me about how he wanted me to plant two of the potted pepper plants in the ground. Though I love gardening, I still have lots to learn and so it is always quite entertaining when different organizations give me such much responsibility with their gardens. Anyway, I went outside and dug two new homes for the peppers. The sun was beating down on me and no one was around except the birds and a few bikers on the bike trail nearby. The pruning of the plants and the scents of the herbs was truly therapeutic. When I went back inside I was sure to bring along a small basil leaf. My friend Cordell came up and hugged me which made me feel like one of the family members. I look forward to the day when I'm in my 70's and can hug everyone, kiss them on the cheek, and call them 'darlin'. The three of us ventured out to Israel's anchor site for the summer. Here we went swimming with 15 energetic children. Crystal and I swam in our clothes and basically were human buoys for a few hours. The rain poured near the end of our swim time and we all ran towards shelter, which was ironic as we were already soaking wet. A cute pit bull puppy followed me around for a while. We rode back soaking wet in Crystal's 94 chevy pickup with the windows down and tunes flowing. I'm so thankful for these simple yet amazing moments. Less income = Poor health? Learn how YOU can serve at the LA Food Bank and other amazing ministries like them through CSM! Relevant Magazine came out with a great article on how to live justly in everyday ways. Check it out! Man...this is so hard for me to remember sometimes.. I am a doer. I like getting things done. Therefore, I am always concerned with what needs to be done, how it needs to be done, and when it is going to get done. This summer working with CSM is great for me because I get to do a lot of things that directly help people. I hang out with homeless people, serve meals, play with children, and lots of other stuff. I get to DO a lot. But because I'm serving so much, I have to constantly remind myself that the Lord wants me to know Him before He wants me to serve Him. This is so hard for me because getting to know the Lord many times involves very little doing. I have a hard time being still, little own being still and listening to the Lord. Because I'm a doer and a planner, my mind is constantly going even if I am physically still. This is something I constantly struggle with. I know and have experienced how awesome stillness is with the Lord. Yet, I still rarely am still. I somehow rationalize in my head that if I'm serving the Lord, I'm also getting to know Him. Sometimes, this is true. However, if there is no one on one time with the Lord, I'm not serving the Lord, I'm merely serving people. Lord, help me be still and seek your face above all else. Unconditional love is a concept that we hear about or talk about pretty often. I think that many times we use the words without really considering what they mean. It can be so easy to gloss over the depth of such a concept, especially once it has become such a well-used phrase. This week, the people I encountered were ones who caused me to stop and really consider the meaning of these two simple words. One morning this week, I was sitting at a table in one of our ministry sites that serves as a drop-in and lunch program. The man sitting beside me began sharing with me about ministry to the impoverished and the heart that he once had for the poor. I was so excited to be able to share in that vision with someone else. He shared with me about going to Bible College and the plans he once had to go into ministry full-time. I was surprised to learn that one of the lunch program’s patrons had held such a heart for ministry. The more he talked, however, the more downtrodden he became. He told me that he had left Bible College because his sins had just been too much for God. He didn’t think he could be useful to God because he struggled with issues in his own life. I know that God’s love is deeper and wider than I can ever fully understand, but in that conversation I think God allowed me to feel just a tiny fraction of what He feels for this man. There was nothing I desired more than for him to be able to know just how far reaching God’s love is and how complete His forgiveness is when we accept it. God is ready and waiting to drown us in a tidal wave of His love. His desire is for us to know Him and to participate in a loving relationship with Him. I think part of what impacted me so much is that I didn’t expect to encounter such resistance to God’s love and forgiveness by those who do know God’s character. I expect to hear those stories from those who have known much difficulty, grief, and abuse. This conversation has caused me to reconsider all of my relationships, not just the ones I’m building with the impoverished and less fortunate. It’s causing me to ask myself a lot of questions: How well am I reflecting God’s forgiveness and unconditional love to all of the people I interact with? How many other people who know God’s character are suffering from an inability to forgive themselves and accept God’s unconditional love? New Take on Bubble Gum Machine! Why not get [a bubble gum machine] and fill it with words of wisdom, verses from scripture, small pieces of art, suggestions for random acts of kindness or ways to engage in mini-moments of mission? Set it up in a public place and see what happens and how people react. And a group has put it into practice! Check out the follow up post! Have a great idea for incorporating acts of mercy with youth ministry? Email us! One of the most mindblowing and emotional days I've had in a long time, but so needed and so good. I had the full range of emotions today: from angry, confused, and sad to hopeful, joyful, and giddy. Confused because of some awesome time we spent with a man that absolutely radiates Christ, Jim. He completely boggled my mind about being successful and how suffering is actually needed and a great thing. He was once CEO of a company, had everything the world says should make us happy, and then lost it all, and is now probably in my top 5 of Godliest people I have ever met. His wreckage turned out so beautiful. Now, I wonder if I need to go through some suffering and pain to experience the beautiful other side. I've been comfortable my whole life and have experienced little to no suffering. At the same time though, my earthly mind doesn't want suffering. So, now what do I do with this? Sad for one of my fellow interns and the hurt she is going through, but thankful that the Lord has started to soften my hurt, so the things that hurt other people and the Lord are breaking my heart as well. This was a HUGE breakthrough for me. I usually don't feel for other people at all. Mad because we discussed human trafficking today. I was more angry today than I have been in a long time. I had no idea what a huge issue it is and especially angry that people in our world can be so evil to enslave people and especially sexually enslave small children. Disgusting and gross and it made me absolutely angry. I wanted to get up right then and go punch one of the pimps that enslaves girls. Hopeful that the Lord can help me discern through all of this information I am processing and hopeful that He can completely eliminate human trafficking. Joyful because the Lord moved in HUGE ways in our group today. Walls were broken down. Bonds were strengthened. Lives are changing. Joyful that I am blessed to be with such an honest and open group who will be vulnerable. Giddy after a fantastic light-hearted night including the Hobbit Cafe (which was delicious), an Astros game where they actually won, dancing and singing in the van on the way back to housing, and finally a mini-salsa dance lesson from Sarah, our communications director! All in all, it scares me so much that I am going to continually have to fight against myself to really see what God has for me this summer, but at the same time, I'm excited to see how His glory and perfect provision for my life turns out! Lord, thank you for vulnerability and imperfections. Thank you for loving us through wreckage. Continue to remind me that I am not perfect, but don't need to be because you are. Great article from Change.org! Did you know that slavery still exists today? In the USA? It's true - it's estimated that 27 million people throughout are currently enslaved. Learn more on Change.org or at Not For Sale. Jose Gutierrez is living his American dream. 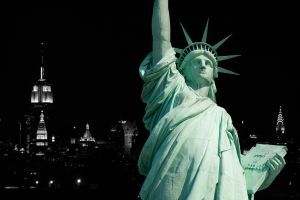 He has a good job working at a place he dreamed of as a boy, the Statue of Liberty. He has a wife and daughter who he adores. And most of all, he has his freedom. But to get where his is today, Jose overcame deafness, cultural and language barriers, and an adolescence spent in slavery. CSM's Chicago site has been video blogging this summer! To see more, visit their Facebook page and become a fan! We talk about it a lot. The cycle of poverty this. The cycle of poverty that. We talk about how terrible it is, how hard it is to get out of, and we keep trying to think of more ways for people to escape it. This whole summer I am working with many people who are trapped in the cycle of poverty. My heart breaks for them as I learn more and more about how awesome a lot of these individuals are. But, what about us? Are we in a cycle, too? I was reminded of this by one of the sweetest men in my group, who is affectionately known as PawPaw to most. During our routine lunch yesterday while sitting under a shade tree, he started talking and I started listening. He said probably one of the most profound things I've heard in a long time. After we visited the Harbor Light Salvation Army center yesterday, he realized that we, too, as middle class individuals are caught in the cycle of pushing the homeless away. Since 1861, when Salvation Army was started, people have been pushing the homeless away from the church. This was the very reason the SA was created because the church wasn't helping them, so somebody needed to. It's still the same today in many churches. If a homeless person walked into a church today, would they be welcomed with open arms? Sadly, probably not. It just makes you think, what vicious cycle are you caught in? Sometimes this perspective can change everything. That was certainly the case for me yesterday. A ministry that I absolutely LOVE here in Nashville is Thistle Farms. Before I knew what it was, I was sent out with another lovely host, Megan, to pick thistle flowers from the side of the road. It was hot, there weren't many thistles where we went, and I had no idea what picking thistles had to do with anything. Boy oh Boy has my opinion changed!! 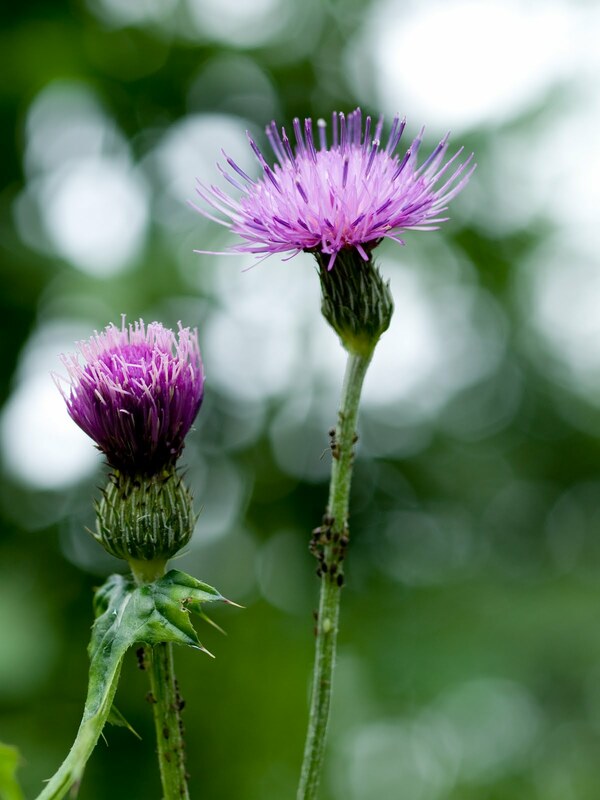 Once I actually visited thistle farms I started noticing thistles everywhere and wanted to get out and pick them everytime I saw some. Instead of paraphrasing anything, you should check out the thistle farms website here for a brief summary of Thistle Farms and Magdalene, then come back and finish reading this post. How beautiful is the symbolism of the thistle? We pick thistles which are ground up, combined with banana leaf pulp, and made into paper which in turn is made into boxes to package the healing oils made at thistle farms. The thistles are prickly and a pesky weed, but what it is made into is something useful and precious. Likewise the women at Magdalene, who once lived in a life of sin and destruction, are going through a process to become functioning members of society and they were/are/always will be Precious to God. I love this ministry so much. I hope that whenever you see a thistle, you will think of this ministry and smile. God works through the pain and hardships of life to make something beautiful. I love the way he redeems and restores us all! Servin it up in The Big Apple! Check out this great video from a group that just served with us in New York City! Learn how YOU can serve with CSM New York City! Today I helped deliver meals to individuals’ residences (not homes, as most people only have an 8′ x 10′ room to call their own). The organization serves clients who have symptomatic HIV, are on treatment for breast cancer, or are home-bound seniors. By help, I do not mean actually deliver the meals. I was guiding five volunteers from Colorado. My job(s)? I made sure clients got the right meal, the volunteers did not get lost, and no one took meals (i.e. I sat downstairs as the volunteers delivered the meals). Those lobbies see a lot of traffic—people in and out, in and out. As I sat there, part of the traffic, I prayed that God would use my time in those lobbies. He did. A surprise? It shouldn’t be. God hears our prayers, and I have proof that he heard mine today. I was sitting at a round, plastic table by myself. Two women sat at the table next to me, likely both residents at the “hotel”—and by hotel I do not mean the Hilton. I tried to eavesdrop respectively, an art I am interested in perfecting. One woman mentioned working at the Salvation Army. I joined in the conversation by asking what she did there. She proudly explained that she was promoted after a little while because she could speak two languages. After a few minutes, I learned that she was born in Nicaragua. I proudly told her that I eat at the Nicaraguan restaurant at 26th and Mission nearly every week. Her eyes lit up. As I waited in the next lobby, a latino man walked in, also part of the traffic. As our eyes met, he said “Hola.” I returned his greeting. His eyes lit up and stayed lit for the next two minutes as we conversed in Spanish. Today, Jesus showed me the joy he can bring others when I am simply in-tune to his spirit. His challenge to me: he wants to use me daily to bring joy to his children, if I am obedient.